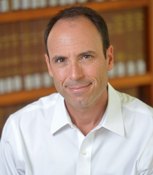 ADAM WINKLER is a specialist in American constitutional law. His wide-ranging scholarship has touched upon a diverse array of topics such as the right to bear arms, corporate political speech rights, affirmative action, judicial independence, constitutional interpretation, corporate social responsibility, international economic sanctions, and campaign finance law. His work has been cited and quoted in landmark Supreme Court cases, including opinions dealing with the Second Amendment and with corporate political speech rights. 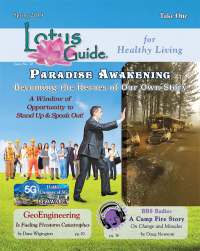 His commentary has been featured on CNN, The New York Times, The Los Angeles Times, The Wall Street Journal, The New Republic, and numerous other outlets. He is a contributor to The Daily Beast and The Huffington Post. Along with Professor Ken Karst of the law school and the late Pulitzer Prize-winning legal historian Leonard Levy, Adam edited the six-volume Encyclopedia of the American Constitution (2nd edition). His book for W.W. Norton titled Gunfight: The Battle over the Right to Bear Arms in America was published in 2011. Born and raised in Los Angeles, Adam went to the School of Foreign Service at Georgetown University intending to join the CIA. But after graduating in 1990 he took the more mundane path of going to law school. He earned a law degree from New York University in 1993 and moved back to Los Angeles to practice law with noted criminal defense lawyer, Howard Weitzman, at Katten Muchin Zavis & Weitzman. In Adam’s first case out of law school, he worked with Weitzman representing the late Michael Jackson in a highly publicized child-olestation case. Adam was also part of the defense team that initially represented O.J. Simpson in the football player’s infamous murder trial. This was more than enough to convince Adam to return to academia. Adam clerked on the United States Court of Appeals and then received a master’s degree in political science from UCLA under the mentorship of Professor Karen Orren. Prior to joining the UCLA faculty in 2002, he was the John M. Olin Fellow at the University of Southern California Law School’s Center in Law, Economics and Organization (2001-02). Adam teaches Constitutional Law I, Professional Responsibility, Constitutional Theory, Gun ontrol and Firearms Policy. Gunfight is a timely work examining America’s four-centuries-long political battle over gun control and the right to bear arms. In this definitive and provocative history, Adam Winkler reveals how guns—not abortion, race, or religion—are at the heart of America’s cultural divide. 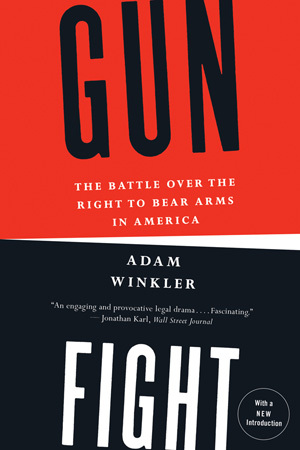 Using the landmark 2008 case District of Columbia v. Heller—which invalidated a law banning handguns in the nation’s capital—as a springboard, Winkler brilliantly weaves together the dramatic stories of gun-rights advocates and gun-control lobbyists, providing often unexpected insights into the venomous debate that now cleaves our nation.